If you are interested in applying for financial support for study or service abroad, an internship, or any other academic enrichment for the Winter 2018, Spring of 2019, or Summer 2019 now is the time to begin putting stuff together. 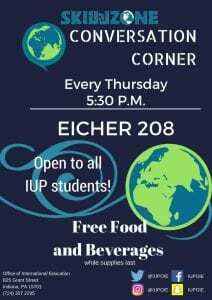 If you are unsure about something that interests you or just need help with elements of the application or essays, contact kevinb@iup.edu. There will be a Wednesday Workshop for first year students on the Achievement Fund on September 19, 2017 from 11:15 a.m. to 12:05 p.m. in the Whitmyre Great Hall. Upper class CHC students are welcome to attend this workshop for a refresher on the AF. Since it’s your story, use “I” to start your sentences. Include vivid imagery and lots of sensory details. Weave your emotions into your narrative. Find perfect words and expressions. Find the perfect opening sentence. Read it aloud many times. Hear what you are saying and revise where wordy, stilted, redundant or impersonal. 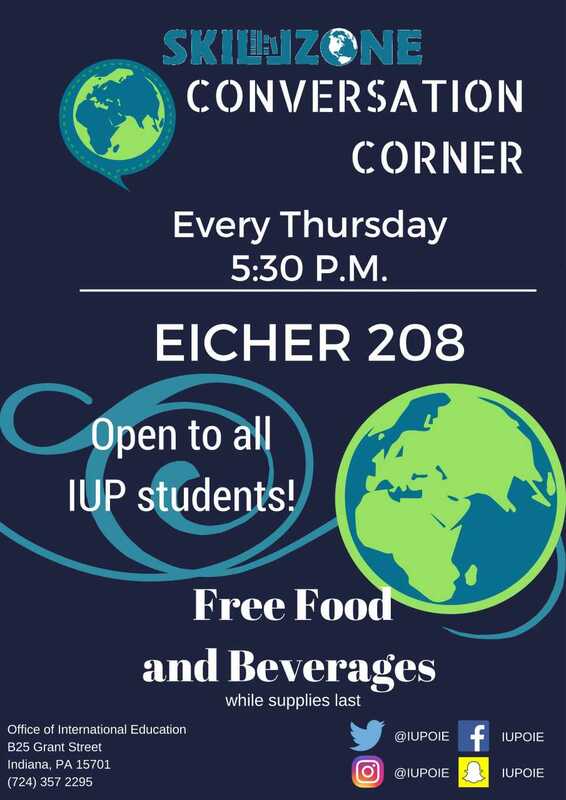 Conversation Corner is newer – they have open conversation between int’l students and American students every Thursday at Eicher 208 – 5:30-7pm – pizza/drinks provided. They want to provide opportunities for learning/language and cultural sharing in an informal environment!